Tennis is a super sport to play when you’re in the mood to get some exercise while having fun. What makes it fun is that you’re moving around the court, expending calories, and getting some really good all-body exercise plus hand-eye work in while improving the power of your forehand and backhand. Timing is essential in a sport like tennis as is decent footwork. If you’ve got two left feet and poor hand-eye coordination then it would be highly beneficial to get with a tennis club or coach for guidance and drills to ensure you get the fundamentals down. Otherwise you’ll be spending more time chasing balls outside the court than actually hitting them. Not everyone is destined to be the next Federer or Nadal but if you love racquet sports then tennis is definitely for you. 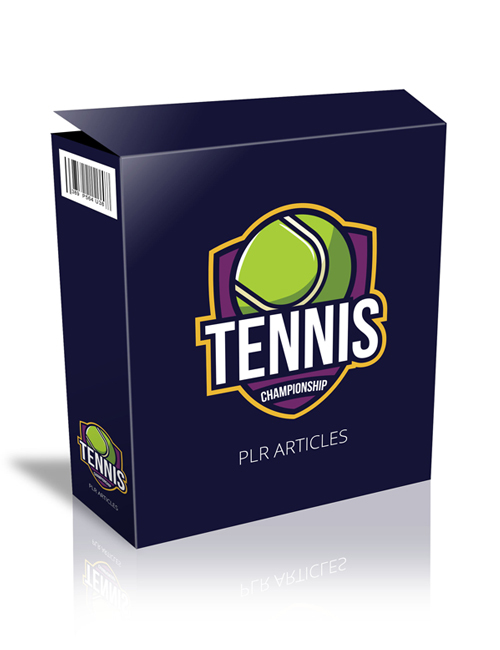 If you’re running a sports blog or tennis website and selling tennis related products, then this pack of plr articles are definitely a great choice. You’ll have fantastic source material to populate your site with while educating your users on how they can pick up their game while staying safe on the court. You’ll receive content such as proper tennis attire, tennis history, dealing with injuries, the best racquet for your style of game, best shoes to wear and more. When you’re ready, serve an ace by hitting the download button.